Pharmacy start-ups and the opening of new retail independent community pharmacies are once again on the rise. The number of new pharmacies that have opened across the nation rose to the highest level ever in every state during 2016. 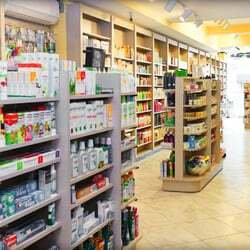 Of interest to many is the fact that independent retail pharmacies are making a comeback in many communities and their growth is indicative of the health of the independent community pharmacy as a great business venture to get into. – Deciding what type of corporation to form – basically of the five primary types to choose from (Limited Liability or LLC, C-Corporation, S-Corporation, Sole Proprietorship or a General partnership), most experts recommend an S-Corporation for an independent community pharmacy. HCC is the Pharmacy Consulting Company that is experienced and nationally known for starting (pharmacy start-up), moving and expanding pharmacies throughout the US for over 27 years. Healthcare Consultants Pharmacy Staffing has helped hundreds of satisfied Pharmacy owners through the process in almost every state. This includes the start-up and opening of independent retail pharmacies, specialty pharmacies, mail-order pharmacies, compounding pharmacies and cancer pharmacies. – Staffing – This includes both temporary and permanent placement. – Training and Compliance – HIPAA, CQI, JCAHO, OSHA, USP, Policy & Procedures; there are many state and federally required programs that must be implemented by all pharmacies. Our experts will assess your needs and help you achieve compliance through training. – Pre-Inspection Audits – Is your annual pharmacy inspection coming up? We can take the anxiety out of this event by performing a pre-inspection audit. Our consultants are well-versed in Board of Pharmacy rules and laws, and will review your pharmacy with a critical eye. Does your pharmacy compound medications? Our experts will assess your compliance to your state’s rules and USP guidance. We will then present our findings and recommendations to you, so that there will be no surprises during the actual inspection. – Efficiency and Workflow – Our experts have been involved in all aspects of pharmacy practice, large and small. We can analyze and evaluate your current operation and offer insight and suggestions to improve efficiency and workflow. If you are considering building, purchasing or expanding an existing retail pharmacy operation, we strongly urge you to get in touch with us today to see how we can help. We offer you the support of an experienced staff who have been through the process many times and know the retail pharmacy business inside and out! Whether you are a seasoned business professional with experience opening new retail pharmacies or simply considering a pharmacy venture as a new experience as a business investment, HealthCare Consultants Pharmacy Staffing can help you. With over 27 years of experience, HCC has helped hundreds of business owners (pharmacists and non-pharmacists) establish and start new successful retail pharmacy practices over the years. Contact us online or call us today at 800-642-1652 to discuss how we can help you.